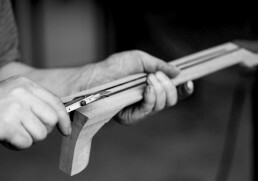 We are committed in making finely handcraftedinstruments more accessible to players. 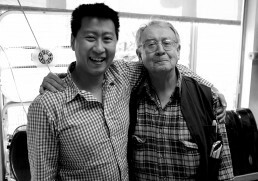 Hozen’s family are the first piano builders in Singapore. Though he was exposed to the trade at a very young age, he did not develop a keen interest in the instrument business until 2001, when he started helping his father in instrument repairs. What was supposed to be a holiday became a life changing trip for Hozen when he accompanied his father to the Music China exhibition in 2003. 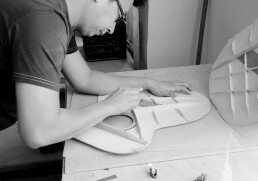 Having met guitar manufacturers, he was inspired to start his own. He later studied the possibility of building guitars by importing parts and assembling them in Singapore. The rest is history. Armed with a strong conviction in offering value-for-money instruments, Hozen took a bold step of opening Maestro Concept Store in Excelsior. 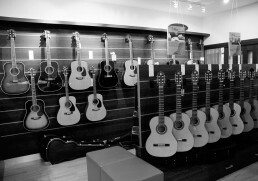 He started with 24 guitars on display and managed to sell his first instrument on the third day. Now, Excelsior is considered as a guitar hub of Singapore. Encouraged by the strong reception of Maestro Guitars in Singapore, Hozen decided to explore the possibility of making them available overseas by exhibiting at Music China. The success of this trip inspired him to attend the next Messe Frankfurt which was headlined by the legendary Paul Ponnudorai. 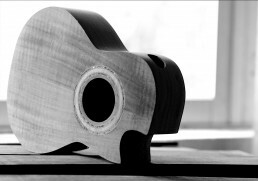 Understanding that constant product development and innovation is necessary to keep the momentum going, Hozen went to his first formal guitar building training under Chris Horton in Goa, India. 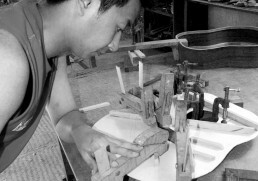 Throughout the course, he learned the essential handbuilding principles while he worked on the first ever handmade Maestro guitar. Now with a deeper understanding about instrument building, Hozen went on to explore innovative features for his line of instruments. This resulted into the introduction of the Carbon Fiber Reinforced Necks to our guitars, which became a standard feature to this date. This year also saw the addition of a more premium line of instruments in Custom Series and Masterclass Series, and Maestro ukuleles. 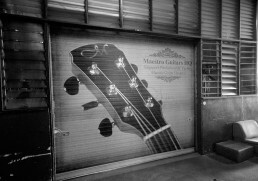 The continuous growth of Maestro, especially in the Singapore market, gave Hozen the opportunity to procure Maestro’s very own production facility in Singapore which serves as Maestro’s HQ to this date. 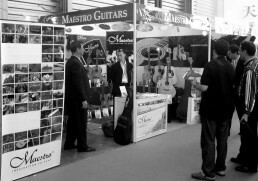 Now, it functions as a hub for all Maestro instruments where each is prepared and documented before shipped to the dealers all over the world. Realizing that the only way to build better instruments is by having complete control of all production processes, Hozen started setting up a new production facility that will enable him to assemble his own team of builders. 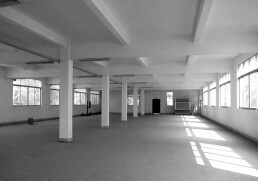 He chose Guangzhou amongst other places due to its longstanding history of instrument building which gave him access to a pool of experienced luthiers and raw materials. The new Maestro Workshop goes into full operation. With the new team and the new facility, Hozen saw the possibility of building more exquisite instruments while maintaining his initial vision of offering value-for-money instruments. After successfully aligning each member’s building philosophy, the new Maestro was born highlighted by the introduction of the new Custom Series. With the new vision of making finely handcrafted instruments more accessible to players, Hozen incorporated boutique features such as the Florentine Cutaway and Soundport making Maestro the first to offer such features off-the-rack. Along with this, Maestro started offering more premium and less traditional tonewoods, which can be considered as forerunners of the Private Collection. Inspired by William Laskin’s innovativeness, the Beveled Armrest is incorporated as an additional option for the Custom Series guitars. 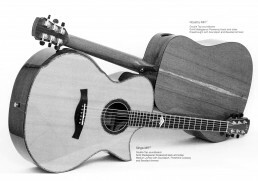 This, together with the Soundport and Florentine Cutaway, became the signature of Maestro Guitars – the birth of the CSB. This same year also saw the introduction of the Island Series ukuleles which were inspired by our Custom Series guitars. In line with the commitment in making boutique grade instrument available off-the-rack, Maestro launched the Double Top Series, guitars built with Nomex Honeycomb which was only available through custom building by select luthiers. It is also the same year that Maestro was recognized by Elixir Strings as one of the top Asian brands, and started using Elixir as our default Strings. With his desire to make things better, Hozen purchased a PLEK Station – a precision tool for fret dressing and nut slotting. 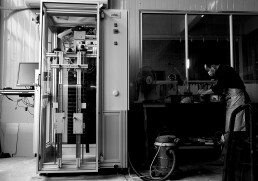 The integration of this amazing machine into the production resulted into the superb playability of our guitars. The team underwent PLEK training with the legendary Joe Glaser who was also instrumental in developing the team’s eye for detail. Hungry to bring Maestro to the next level, Hozen went to study under the renowned luthier Ervin Somogyi. Learning firsthand from Ervin gave Hozen a deeper understanding about the technical aspects of the instrument especially in terms of voicing. 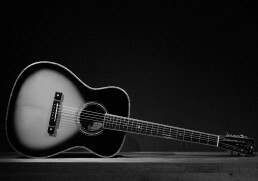 This is considered as a major milestone as it ushered Maestro into its new era of guitars and ukuleles. The year was culminated with the launch of our Vera shape that was named after one of Hozen’s daughters. Hozen went back to the drawing board to redesign the bracing patterns and other aspects of Maestro instruments. By applying his new voicing concept across various wood combinations and shapes, he was able to bring out the new Maestro sound and its signature responsiveness. These new bracing patterns were introduced into the Custom Series guitars alongside the new Advanced Hybrid Bracing for the Private Collection guitars. 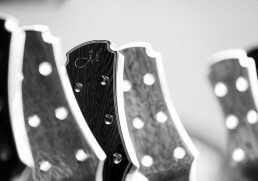 Signifying the new era of Maestro instruments, the new headstock design was introduced. The more elegant headstock gave a better string spacing on the headstock and improved the string break angle. Aside from this, the continuing research of Hozen birthed into the development of our Traditional Series, Crossover Series guitars, and the new Maestro ukulele shape that was patterned after our very own Vera. The Traditional Series and Crossover Series were officially launched at NAMM 2018. Together with this, new options for the Island Series were introduced such as the 8-String and 6-String ukulele and Guitalele. 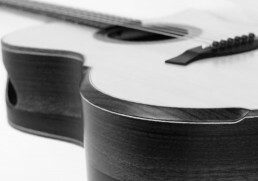 Additional improvements that are on the pipeline are the the new bridge design for the ukulele, Torrefied Soundboards, new voicing approach for the Double Top Series guitars, and the Double Sides.